As a result, every Chromium browser offers more or less the same performance and Web compatibility. Indeed, this is a big part of why Microsoft made the switch: the company had grown tired of updating its own EdgeHTML engine to ensure it behaved identically to Chrome and is now offering Chrome-equivalent behavior in the most direct way possible. 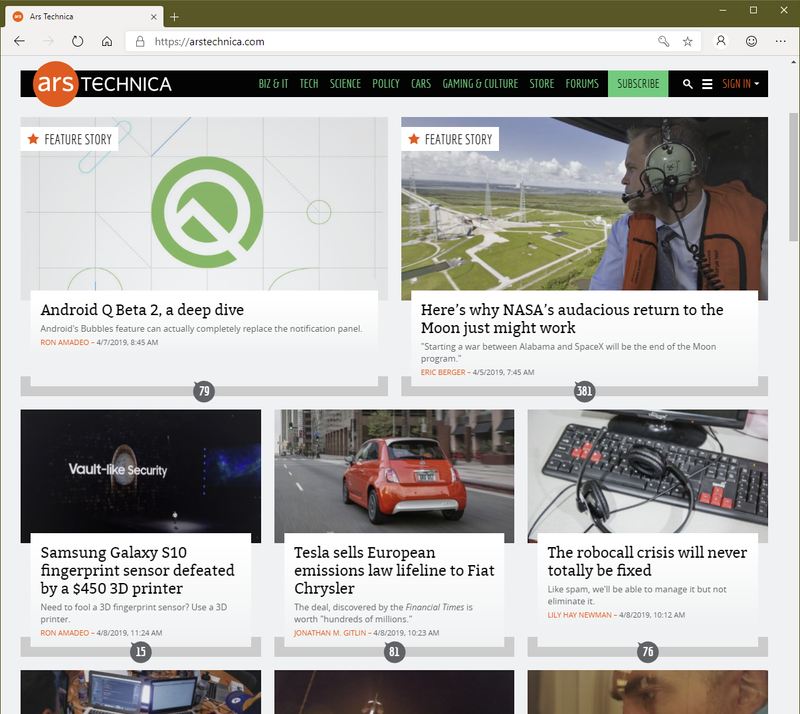 I’ve been using a version 74 build (which is a little out of date at this point) for the last week, and I have yet to see any difference between Edge and Chromium Dev when it comes to displaying Web pages. In principle, a page could treat Edge differently (it reports its identity as a rather ugly “Edg/74.1.96.14”; I’m presuming the misspelling is an attempt to ensure it isn’t identified as a variation of the current Edge browser), but in general there’s little reason to do so.